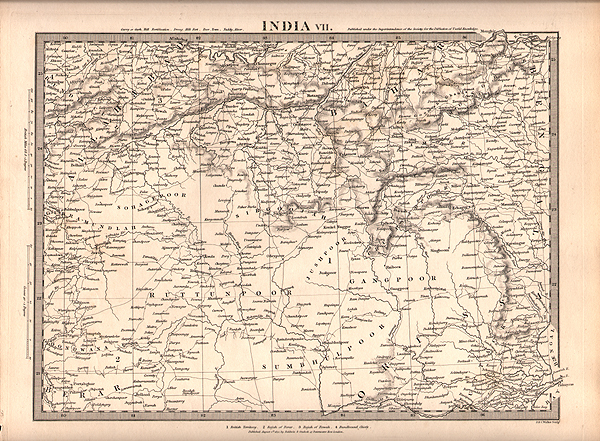 An antique map of part of India, showing British Territory, territories of the Rajahs of Berar and Rewah, and the Bundlecum Chiefs. Engraved by J. & C. Walker. Published under the superintendence of the Society for the Diffusion of Useful Knowledge. London, published by Baldwin & Cradock for SDUK, 1 August 1832 .